Everyone has their own favourite superhero right? 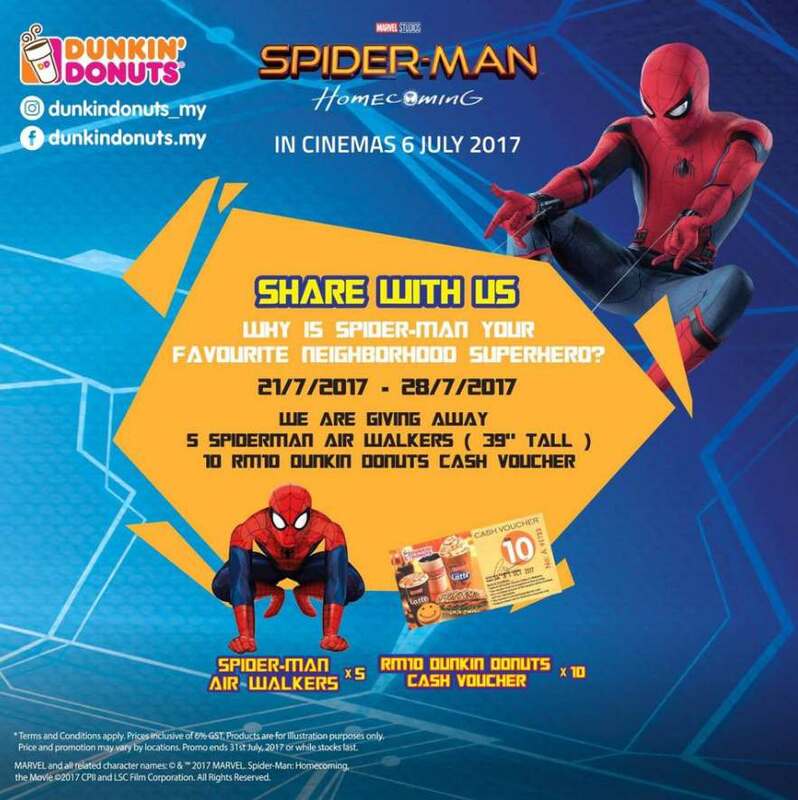 Share with us “Why Spider-Man is your favourite neighborhood superhero” and you might be walking away with this 39” Spider-Man Air Walker + RM10 Dunkin’ Donuts cash voucher! Put your mask on and start writing! Find out more at Dunkin’ Donuts.